I call it strange not because Vincent Tan is the Prime Minister's good friend but because I didn't know the Seafield Seri Maha Mariamman temple at USJ 25 needed saving. From what I read in the media, all parties involved in the relocation of the temple had mutually agreed to it. There's a consent court agreement in 2014, a RM1.5 mil compensation and even a new site for the temple on one of the two plots of land given to the temple committee by the developer. Vincent Tan's idea of a RM15 mil fund to save the temple seems to have come out of nowhere. He spoke as if One City, the developer, will have no choice but to agree to sell the 1.1 ha of land where the temple has sat for four decades. “I'm sure (the developer) will come up with a solution. So, let's wait for them. They could be very charitable and maybe they want to give a very big discount and maybe they want to donatethe entire land ..." - Vincent Tan in RM2 mil raised so far by temple fund. 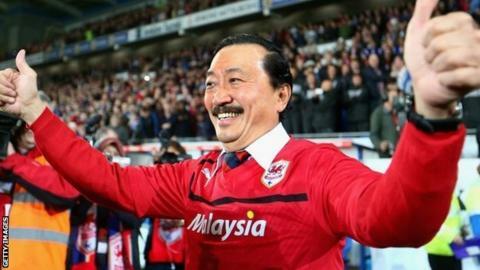 Strange too is the fact that Vincent Tan's fund was announced after the riots had come under control and the court had rejected a last-minute bid to block the relocation. Even Muhammad Adib, the 24-year old on-duty fireman who was beaten to a coma by the rioters, has regained consciousness. I would have found it less strange (and equally if not more noble) if Vincent Tan had set up a fund to help Adib, seeing that he may not be able to return to active duty anytime soon. Don't get me wrong. I have no doubt that Vincent Tan means well. If this is how we resolve problems of this nature, I am sure many will be happy. The bewildered residents of Taman Tun Dr Ismail, for example, can't wait to welcome Vincent Tan and his friends to try and save their Rimba Kiara from a legal and binding agreement signed between the previous government and another group of developers. Well Muslims are in a bit of a pickle....can a Muslim donate to a temple? Can they donate to a religion that is not on par with Islam? JAKIM & the muftis are all very quiet. You tell me Rocky.